Probably the most popular tourist destination in the south Bengal area other than Digha, Bakkhali is a deltaic island. Being a part of the majestic Sunderbans, this tiny island spreads itself into the mighty Bay of Bengal. the beach road which goes from Bakkhali to Frasergunj is about 8 kms long. Bakkhali has been explored by Mr. Andrew Fraser, formerly, the Governer of Bengal and evidently, the name Frasergunj is being named after him. Bakkhali is famous for the Red Crabs which one can find over the beaches in the area. Many migratory birds can also be seen in Bakkhali Frasergunj area during winter, which draws many bird lovers during this time. Bakkhali is situated at a distance of 132 km from the city of Kolkata and is quite popular as a weekend spot. A couple of days stay at Bakkhali is surely going to rejuvinate and freshen you up. The road runs through Diamond Harbour and Kakdwip to Namkhana, where the car or bus has to be transported across the Hatania-Doania creek in a special ferry. The ferry service is available from 7AM-11PM except from 12 noon till 1:45PM (lunch hour). The fare for crossing a Car/Jeep is approx Rs 160 + Rs 30 toll (including loading/unloading). The road is excellent from Joka all the way to Bakkhali. The 130 km stretch from Kona expressway (with links to the Mumbai and Delhi sections of the golden quadrangle project linking the four metros of India) and Bakkhali has been marked as National Highway (NH) 117. The road journey from Joka at the outskirts of Kolkata to Bakkhali takes about 3 - 3.5 hours. However, crowded market places can delay movement. Some sections are very crowded specially early morning because of bazar and later at the evening time, there are no by pass for these smaller towns. WBSTC has regular bus service from Dharmatala to Bakkhali. One starts at 7AM in the morning from Dharmatala and reaches Bakkhali at around 11:30AM and leaves from Bakkhali after half an hour for Kolkata(Dharmatala). Another starts at 8AM from Dharmatala to reach Bakkhali at 12:30PM and starts from Bakkhali after half an hour forty five minutes. This schedule is subject to change and one must confirm it from Dharmatala Bus Stand before venturing out from Kolkata. The route of the bus is Dharmatala- Alipore-Chiriakhana-Taratala-Diamond Harbour-Kakdwip-Namkahana-Bakkhali. There are plenty of local buses up to Namkhana and then again from Namkhana to Bakkhali. The nearest rail station is at Namkhana. There are regular trains from Sealdah via Lakshmikantapur and Kakdwip to Namkhana. The journey takes around 3 hrs. From Namkhana station you will get a van rickshaw to reach the place from where you need to cross a narrow creek in a small boat. Then from the bus stand one can get buses for Bakkhali which take around 45mins to 1hr. The Bakkhali bus stand is very close to all the hotels and just a 5 min walk from the beach. 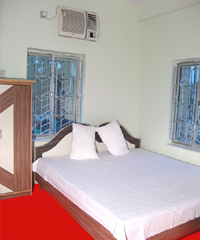 Hotel Amarabati has been serving from the birth of the tourism business of Bakkhali. 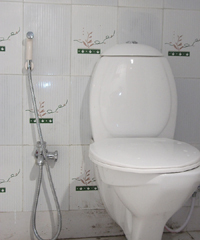 It is one of the hotels who started their business along with the tourism business of Bakkhali. 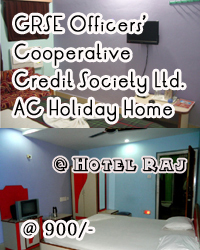 It was inaugurated in the year 1997 and till today after one and half decade, it's really one of the best hotels. It's awesome building along with the well-furnished garden mixes you up with the nature. A beautiful service and environment is our main motto. And we are really one of the best hotels following our motto. We always prefer our client’s satisfaction. We are happy to find our clients enjoying our services along with the environment. We are always committed to give our best efforts to you.